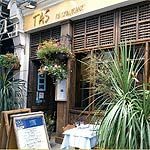 If you enjoy Turkish cuisine try Tas Restaurant in Farringdon Road. They serve an extensive menu of authentically prepared dishes and with so much to choose from you're bound to find something to tickle your tastebuds. Do you work at Tas Restaurant? 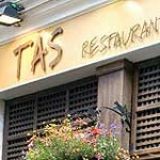 What did you think of Tas Restaurant? 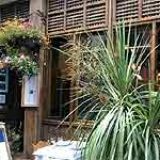 Good food and great service even though the place was heaving when I went there but that's always a good sign in my opinion. I will return to Taz again. The Tas chain extends across south, east and west London. But they’ve got a long way to go before their empire is a match for Anatolia, the vast region that their menu attempts to evoke. The cliff face of an office block the other side of Farringdon Road makes walking into Tas a pleasure. You feel like you’re slipping into a homely cave. Its cool, substantial feel is thanks to hefty floor tiles, carved wood, great ceiling beams and dark chandeliers that look to be made of cast iron. Tas might be a chain, but it doesn’t have the cheap, flimsy appearance of a restaurant spreading itself too thinly. Gleaming white tablecloths accentuate the feeling of quality. At street level, the long room with an open kitchen at the back is preferable to the basement space. It’s not like they’ve let themselves be sloppy with the décor down here – the interior design of some restaurants’ basement can be akin to a broom cupboard – but the lack of natural light does not work in its favour. It’s an overspill space only. Staff give off the tightly sprung vibe of a team used to keeping a full restaurant happy. On the tiny stage a white-bearded man occasionally plays excellent traditional guitar music. The menu is longer and more varied than many other Turkish restaurants which focus on a familiar roll call of meze and kebabs. Think Turkish and many people think ‘kebab’, but the sidekick to the grilled meat is often a bountiful salad. These ‘side’ salads are often meals in themselves, so it is good to see a Turkish restaurant that makes them a focal point. The salad menu here features ten of these (£3.95-£4.55), from the simple more-than-the-sum-of-its-parts potato salad with onion, coriander and sumac, through to the classic, verdant coban salatasi (shepherd’s salad). Others feature chicken, sesame seeds, walnuts and that Turkish favourite, pomegranate. There’s a similarly long list of vegetarian dishes (£8-£9) – again, not something often seen in Turkish restaurants – which are as hearty and ingredient-stuffed as most of those salads. A surprising inclusion amongst these savoury dishes is elma dolmasi: baked apple stuffed with almonds, rice, dill, cinnamon and cream. The majority of the remainder are stew-like concoctions, of which a highlight is the underwhelming-sounding fasulye kavurmasi, where green beans are slow cooked with potatoes, onions, tomatoes and garlic. The colour may be pond-like, but the flavours are fresh. Surprisingly, kebabs can disappoint here. Options range from the lamb liver, onion and sumac (£8.45) to chicken and lamb shaped and skewered every which way (£8.95-£9.95). The iskender varieties, slathered in tomato sauce and yoghurt, are a good bet. Finally, there are ten or more casseroles, and the same number of fish and seafood dishes. 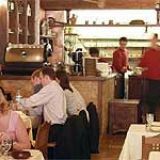 The former (£9.45-£11.25) range from simple chicken dishes to more showy lamb creations, such as hünkar begendi (cubed lamb over aubergine puree), moussaka and incik (slow-cooked lamb shank with potato and tomato). Seafood and fish dishes (£9.25-£12.90) are as wide-ranging as the other parts of the menu, from scallops in a creamy wine sauce through to grilled sea bream and the intriguing asma yaprakli sardalye, where sardines are wrapped in vine leaves then deep fried and served with walnut sauce. Starters are startlingly numerous, too. There are soups (£4.25-£4.45), then a selection of ‘cold’ and ‘hot’ options (£4.25-£5.45). Highlights include mücver (courgette, dill and cheese patties) and a cold dish of artichokes (enginar). The range of ingredients and techniques on show here is such that you could happily compose your dinner from this section of the menu and not bother glancing at the mains. The drinks range is nothing like as extensive as the food, but does include cocktails alongside the usual range of Turkish wines and beer. Tas might be part of a chain, but it feels like an independent thanks to attentive staff, a homely atmosphere and that guitar player. The menu might well benefit from a little trimming, whilst the kebab grilling needs to improve.